Attending Wireless Field Day 5 as a first time delegate was such an honor, and I was perfectly aware of how significant past Wireless Field Day events have been. But being involved and experiencing the event first hand I realized just how big of a deal the event really is! The Wireless Field Day event gathers some of the best wireless talent and companies together to talk about and showcase the latest and greatest in wireless technologies. No details are left out in the planning and coordination of the event, and the vendors go all out with their presentations and demonstrations. It is three days for the wireless world to shine and put on a show, and it is a BIG DEAL! Now that I’m back home from Wireless Field Day 5 and had a few days to recoup, and start to go over my notes and oganize my thoughts into blogs, and begin playing with some of the goodies I received from the vendors I wanted to quickly give what I remember most from the event. I’m not sure what the cumulative years of experience among all the delegates is, let’s just say a lot, but talking to them and hearing their stories it becomes clear they are talented and passionate people. It was a thrill to hang out with the other delegates, and I only wish I had more time to spend with all of them. If you ever get the chance to meet any of the delegates you will greatly benefit from their expertise! Below is the Wireless Field Day 5 delegate list along with links to their twitter accounts and blogs. The delegates are starting to post about the event and presentations, and much more about WFD5 is going be published in the coming weeks and months. 3 Days, 9 Vendors, 18 Hours of Presentations! Three words, wireless information overload! The vendors shared a tremendous amount of information at Wireless Field Day 5, and all the sessions were recorded and now posted to the Tech Field Day YouTube Channel. I have started watching the online videos to help piece together my notes or fill in some of the details I missed, but these videos offer a substantial amount of information for anyone interested in wireless technology. Ben and Andrea did an awesome Job! Part of the Wireless Field Day event that not every one is aware of is the constant moving from place to place for the presentations. Ben and Andrea always had their equipment setup and ready to go for each presentation, and it was amazing to watch them break down and/or setup for the sessions. They definitely had the process down to a science! The result of their hard work was the live online stream and now the WFD5 event videos that have been posted online for every ones viewing. Chris Woerz and Stoney Tuckness talked about and demonstrated the different products offered by Metageek, and for myself it was the most memorable of the presentations. Their approach seemed to hit on the hey we are one of you and needed simple yet informative tools to monitor, survey, and troubleshoot wireless networks. The products are very affordable, and whether you’re an experienced WLAN engineer or someone new to wireless these tools offer something for everyone to help with the day-to-day wireless network maintenance. Here is a link to the Metageek home page listing their product line, and there is an excellent video tutorial page on the Metageek site as well. During the presentation the Metageek guys handed out several gifts to the delegates, and after the session completed they introduced themselves to me and as a first time delegate gave me a few extras (see the picture below). 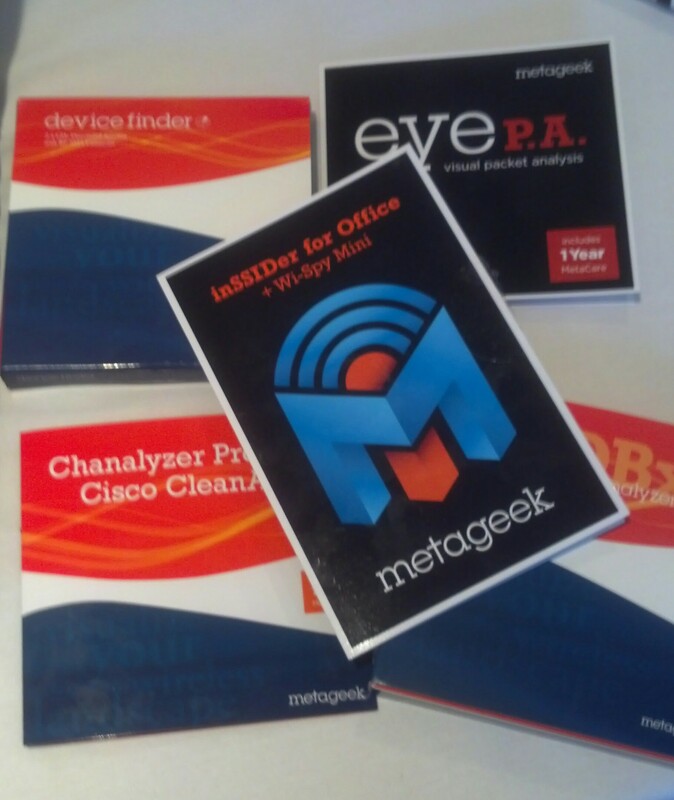 Thanks to Metageek for being so generous and I’m really looking forward to test driving the utilities. I know I can use the Metageek utilities immediately in my network to help trouble shoot or see what is going on in the RF environment, and cannot wait to write about my experiences using their utilities. Being in the K-12 environment I was really looking forward to seeing Aerohive demonstrate their controller-less APs and BYOD solutions. Aerohive started their presentation talking about the proliferation of wireless devices along with an overview of their cloud enabled solutions. After the Aerohive introduction several presenters demonstrated their controller-less cloud solutions including client management and on boarding, ID Manager for guest registration, and application visibility and control that can perform deep packet inspection. One of the best sessions from any vendor was when Aerohive’s Matthew Gast talked about 802.11ac. This is a highly recommended video to watch, not just by myself, but the other delegates and many of the Twitter viewers were raving about Matthew as well. Another highlight of WFD5 was after Aerohive’s sessions completed I was able to meet many of the companies employees. I started to recognize many of the names from social media, blogs I follow, and as authors of several books on wireless I have read including the CWNA and CWSP study guides. The only way I can describe it is going to a Van Halen concert and after the concert getting to go back stage to meet the band. It was an impressive amount of talent gathered at one vendor! Two more vendor presentations I was looking forward to seeing was Airtight Networks and Xirrus and they did not disappoint. I believe Airtight was a first time presenter and there was a lot of Twitter buzz about their being involved with Wireless Field Day 5. Airtight is known for their security and WIPS products and has branched out to controller-less APs with just about everything being software defined in the cloud. Their presentation started with an excellent talk of the company’s background presented by David King. After the company introduction several people demonstrated the cloud management, social Wi-Fi, and guest BYOD on boarding solutions. The Airtight solutions are very intriguing, and I look forward to learning and writing more about Airtight. The Xirrus radio array solution is very interesting, and this presentation probably had the delegates asking the most questions. Dirk Gates was a great speaker and very knowledgeable, and while he may not have answered all the radio interference questions, he is definitely wireless smart and good to listen to. Xirrus offers APs with 2, 4, 8, and 16 radio arrays, and the Xirrus Management System (XMS) can be used to monitor and mange the wireless array network. Some advantages of the array APs would be a lower number of devices to install, less cable runs, and they give excellent capacity in high density areas. As with Airtight I look forward to checking out the Xirrus website and learning more about their radio array solutions. Two vendors, Xirrus and Meru Networks, each had a customer speak for about 20 minutes to tell their success story. It was interesting to hear from an outside source about each vendor and how their solution was installed, configured, supported, and why the solution was an improvement on what was previously there. I’m not recommending for future wireless field day events every vendor have a customer speak, but it was that something different approach that got noticed by many of the delegates and the Twitter crowd. It wasn’t the super wow factor that caught my attention, but having someone not directly employed by the vendor help tell the story. It might be something for vendors to think about for future field day events as far as what can they do different. The Twitter conversations can be followed using the #WFD5 hash-tag, and be sure to check out the delegate blogs and the vendor websites to read more about the event. If you missed the live event the videos have been posted online. Thanks for visiting my blog, and please leave any comments or questions or drop a comment about what you thought was memorable from Wireless Field Day 5. No… there isn’t a test at Wireless Field Day 5, but being one of the two new delegates to the event I wanted to gather as much knowledge as I could prior to the nine vendor presentations at WFD5. For the most part I know of each vendor and their products, but have limited working experience with their solutions, so I wanted to share some of my research I have done to prepare for Wireless Field Day 5. To keep this post of moderate length I cannot mention every vendor and/or resource, and the vendors mentioned here is in no way favoring them or a knock on the other vendors. With nine vendors presenting, and each having two hours for a total of 18 hours of demonstrations I’m sure to have plenty to share in future posts about all the vendors. One of my fellow WFD5 delegates wrote a great blog post last week about the upcoming Wireless Field Day event and what to aspect from such an event. The published post was by @wirednot and mentions several of the vendors presenting at WFD5 and lists some of the hot topics that might come up during the presentations. 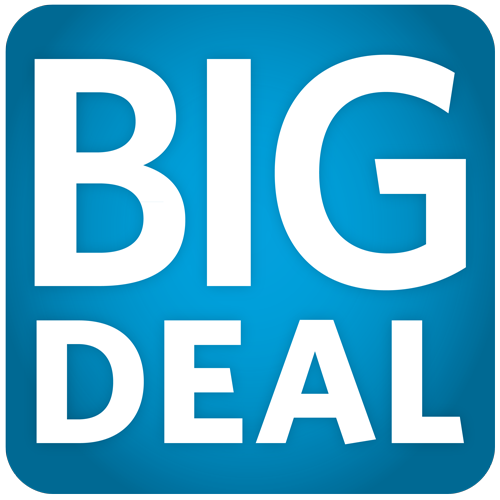 Again, being one of the two first time delegates this blog post gave me an overall feel for the event and had some good links to learn about past delegates, past Wireless Field Day events, and links to several of the vendors presenting. Another really good article titled “Another Controller-less Wi-Fi Solution” posted this week by @matthewnorwood highlights the Airtight Networks APs and management solutions. The article has a link to the Airtight Network web site where I watched a series of demonstration videos. The videos were well-organized and ranged from 2 to 6 minutes in length, and each video concentrated on a certain area or topic for the Airtight solution. I found the videos very informative and they covered some hot topics in wireless including cloud management, software defined radios, BYOD, security and monitoring. The article isn’t completely about Airtight Networks and Matthew does talk about the three planes of wired and wireless traffic along with an overview on basic WLAN network architectures (some cool graphics). Working in the education market I have followed Aerohive Networks and read about their BYOD and education solutions. Like the other vendors the Aerohive website is full of information with plenty of documentation, videos, and blogs. Aerohive does have a YouTube channel (other vendors may have YouTube channels as well) and the videos posted on YouTube were another resource I used to learn about Aerohive. Andrew von Nagy will be presenting at WFD5 for Aerohive and I look forward to meeting Andrew and seeing his presentation. Anyone following Andrew on Twitter (@andrewvonnagy) knows he shares a lot of great stuff, not just on Aerohive, but wireless technologies in general. Andrew’s revolutionwifi blog was one of the first wireless blogs I started following and I’m always impressed with the content, knowledge, and style of how Andrew presents the material he writes about. To be honest all the delegates for Wireless Field Day 5 have outstanding blogs and I have spent many hours reading their posts. These blogs are a tremendous resource for me with tons of information and details on networking, wireless, security, hardware, software, storage, etc… Each delegate’s perspective on the wireless world and related technologies along with their knowledge and passion for wireless really shows in their posts. Links to all the delegates blogs are available on the Wireless Field Day 5 website. Three vendors, Fluke Networks, Metageek, and Wildpackets will be presenting on their products for packet analysis, site surveying, network performance, and network monitoring. I’m familiar with these vendors and most of their products, but I still visited each of their websites for a refresher ahead of WFD5. Since I don’t have an expansive IT budget I tend to use freely available utilities and I’m really looking forward to seeing these three presentations and how their enterprise solutions compare to the open source tools I’m accustomed to using. I definitely should have more to post about these three vendors, the presentations, and their products. For myself reading the blogs and visiting the vendor websites was not only great for learning, but for also noticing trends and what could be the future direction for wireless technologies. For anyone wanting to see the Wireless Field Day 5 presentation schedule along with links to watch the live demonstrations can visit the Wireless Field Day 5 web site. The event can be followed on Twitter using the #WFD5 hash tag.